Despite of it is limited, 5% cashback is always good. You are not going to pay interest for purchases for 15 months. There is no annual fee with the card. There is also no Balance Transfer APR for first 15 months. You can learn your FICO score without payment. $0 balance transfer fee for first 2 months. 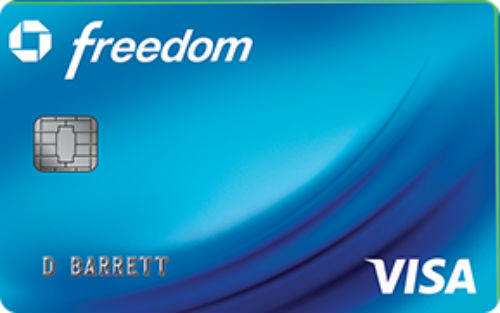 If you have this card, you will not need to pay to learn FICO score. You will not pay penalty interests. Introductory balance transfer fee is $0 for 60 days. 5% balance transfer fee is high. You will make 3% more payment for foreign transactions. Maximum and minimum Balance transfer APR is high. 5% cash advance fee is high. Minimum and maximum APR for purchases are high. That means if you even have very good credit score, you will pay high interest rates and it is not profitable at all. 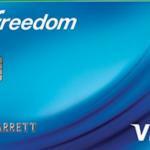 Chase Freedom Credit Card is providing limited 5% cash back for those who wants to pick their own purchase category. We have mentioned about its brother Chase Freedom Unlimited on Credit Cards Center before. They are some little differences with the card. You can see our comparison to see which card can be the best option for you. 1% cash back rate is below average, however 5% cash back for a purchase category that you pick is good. There is also no APR for 15 months with the card. (Except Cash Advance APR.) As same as many other cash back cards, Chase Freedom Credit Card is providing high APR for consumers after introductory period. These interest rates can be very high for those who even have excellent credit score. You can check your FICO score free. You are not going to pay penalty interest rates with this card. Balance transfer fee is $0 for 60 days. You can see all important interest rates and fees of the card below. You can also check editor scores and user reviews for the card. Previous articleIs Chase Freedom Unlimited Profitable?